While postpartum depression is a topic discussed with some regularity in the public sphere, mental health during pregnancy is an issue not often discussed. Though joyous and exciting, pregnancy can also be a stressful and difficult time for moms-to-be, and their mental health should be monitored along with their physical well being as they prepare for motherhood. From what’s normal to feel, to treatment for mental health issues, to how depression can manifest itself during delivery, there are a lot of elements to consider when exploring the interplay of pregnancy and mental health. Mental health during pregnancy calls into play a number of factors. Women who have had mental health issues in the past might be affected differently than those who have not. Some may start to experience mental health problems for the first time during their pregnancy. Some might need to discontinue use of their mental health prescription. What’s more, the way a woman feels about being pregnant can affect her mental well being. Those who feel ready and excited about becoming a mother can have a different outcome than those who do not. According to the Royal College of Psychiatrists in London, (RC PSYCH) anxiety and depression are the two biggest problems and effect 10-15% of pregnant women. However, countless other issues can come into play. For example, for women who have dealt with eating disorders, the changes to their body and physical size that come with carrying a child might be particularly difficult and raise new issues or respark old, unhealthy feelings. If a woman has dealt with mental health issues in the past, it is especially important to discuss the matter with a doctor upon becoming pregnant. Even if no current symptoms are being felt, this preventative measure is an important step in maintaining mental wellbeing through a time of dramatic change. According to RC PSYCH, “women who have had these illnesses have a high risk of becoming unwell after childbirth,” so it’s important to be proactive and vigilant. Pregnant women with all backgrounds should take care to monitor their mental health and be on the lookout for potential warning signs, though sometimes normal pregnancy symptoms (like new sleep habits or changes in energy) can be hard to distinguish from symptoms of a mental health disorder. A mental health professional can help distinguish when further treatment, and of what type, should be sought. 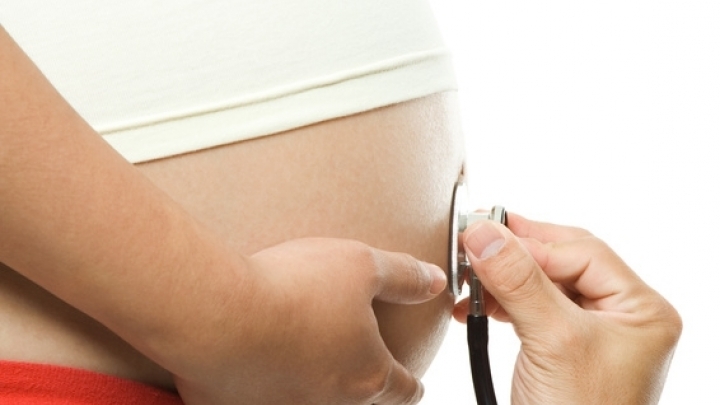 The question of how to treat a mental health problems during pregnancy is sometimes tricky. While psychotherapy shouldn’t present any problems and is a great option for pregnant women, medications can be a complicated issue. RC PSYCH recommends that you talk to your doctor before making any decisions about stopping the use of medication abruptly, as in some cases this can do more harm than good. Depending on the case, you and your doctor might decide to wean you off your medication, stop taking it all together, or continue with your regular prescription. The impact that all possible medications might have on unborn babies is not yet known and the decision to take mental health prescriptions requires a consideration of factors different in every case. Factors such as the side-effects you have experienced, the severity of your symptoms and how quickly you become unwell off of medication should all be considered when deciding if you should take pharmacological treatment for mental health disorders during pregnancy. A 2011 study led by Christie Palladino, M.D., followed 802 pregnant women in six Michigan clinics and uncovered a number of interesting results, including longer hospital stays for depressed women and a marked lack of uniformity in treating these women. The women, who had an average age of 29.4 years old, took the Center for Epidemiological Studies Depression Scale (CES-D) and 18.4% had scores indicating depression. Almost two-thirds of these women had a previous history of depression and only 19% reported any current form of treatment. The subjects with depression also experienced inconsistent treatment, even within the same clinic. According to Palladino, "There was no system-level support for providers. They felt as if they were making decisions out on an island." The study authors suggest that this lack of uniformity might have contributed to the fact that so few of the pregnant women with depression were being treated for it. Interestingly, 3.4% of the women whose CES-D scores did not show depression did report current depression treatment, “likely reflecting women who had improved symptomatology on their current treatment regimen,” according to the authors. RC PSYCH offers a variety of tips on maintaining mental health during pregnancy, including getting plenty of sleep and rest. It is also recommended that pregnant women allow friends and family to help them. Getting assistance with cleaning, housework and errands can help take some of the stress off. Exercise and eating well can help ensure both the physical and mental help of the mom-to-be. Talk to your doctor about ways to safely exercise while pregnant. It is also important that pregnant women have an outlet for expressing their concerns and worries as they prepare for this new page in their life. This could be a medical doctor, a therapist, family or friends, and is a valuable support system for the woman to have. Making time for fun activities is another good way to care for your mental health while pregnant. This can aid in relaxation and boost moods. Spending time with friends, painting, going to the movies or reading could all be ways for the expectant mother to escape. By making the effort to care for themselves mentally and discussing the topic with doctors early and often, pregnant women can arm themselves against the mental issues they may have to cope with during their pregnancy. While the topic can be complicated and varied from patient to patient, awareness, communication and self-reflection can all ensure the best possible outcome for both mother and baby. The Royal College of Psychiatrists, "Mental health in pregnancy" "Lengthened Predelivery Stay and Antepartum Complications in Women with Depressive Symptoms During Pregnancy" "Depressed, pregnant women receive inconsistent treatment, have longer hospital stays"